Unfortunately, there’s no magical formula that can tell you exactly what you need to do to reach your audience. Despite what they tell you, good marketing doesn’t happen overnight either. In fact, marketing is like a bit like gardening – you plant a seed, make sure it has the right amount of water and sun, and watch it grow. But just as some plants need different amounts of care and climate to survive, so do your marketing efforts. Things that work for some businesses won’t always work for yours, and strategies that win over your competition’s customers may not work for you, your team, or your customers. Much like general gardening tips will work for most plants, general marketing advice will still hold true. But, making the small tweaks (less water, more sun, and so on) with your marketing strategy will be the difference between a successful effort and a failure. Social media can be a great marketing channel, but it’s often underutilized, especially when it comes to advertising. Facebook, Twitter, LinkedIn, and Instagram all offer the ability for businesses to market themselves to targeted groups, like local customers or those who would otherwise never hear of your business. In fact, social media advertising affects over half of all online purchasing decisions, including those about service businesses. But the real tweak you need to make when it comes to your ads is retargeting. Retargeting is when you send ads to people who have already expressed interest in your site or services. A vast majority of visitors who are retargeted are more likely to become customers, so taking the time to set up a retargeting social media ad campaign will boost your marketing efforts and help you convert your online audience into actual business. Images are another big part of marketing, including those that you use on your website, in your ad campaigns, on your flyers, or even around your office. But the problem is that not every image will have a positive effect on your marketing campaign. While including an image with your social media posts, the types of images you use affects those rates. The key is to use emotional images to communicate with your audience. Using pictures of happy people will help customers associate happy feelings with your business, for instance. User-generated images can help customers feel personally invested. Adding authentic images (instead of stock photos) can help boost trust. When it comes to improving your marketing efforts, focus on images that make sense, are relevant to the channel you’re using them on, are the right size, are high quality, but most importantly, help people associate positive feelings with your business. What you say on any given page of your website, where you say it, and how it’s worded is an important component of conversion, but it’s also something that’s not always thought through when building a website. One of the biggest areas where people get it wrong when it comes to copy is talking too much about problems and solutions and not enough about the benefits of the service itself. Instead of only listing out things that you do differently from competitors, give additional reasons why those things matter (“We have online scheduling, so customers never have to struggle to find an appointment time”). This will answer the “what’s in it for me?” question. 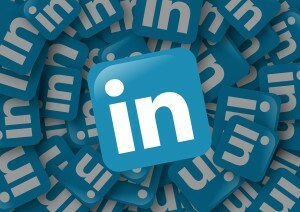 LinkedIn describes recommendations as “a comment written by a LinkedIn member to recognize or commend a colleague, business partner, or student. Visitors to your profile often view the recommendations you’ve received to see what others have to say about your work.” While these are useful in selling yourself to a potential employer or client, having 10 to 15 recommendations can improve your profile’s search ranking. When asking for a recommendation, you should create a bulleted list that contains information such as your skills, strengths, and services you provide. You can even put your recommendations into a PDF and place it in your Summary. The best place to start is by completely filling out every section of your profile, having an updated and professional-looking photograph, and a unique headline that briefly describes why you’re so awesome. Besides those basic tips, complete your summary so that it highlights your experiences, qualifications, and anything that sets you apart from everyone else. Don’t forget to keep this information up to date. Have you used any of the tweaks and seen results? We’d love to hear your feedback! This entry was posted in Linkedin Advertising. Bookmark the permalink.